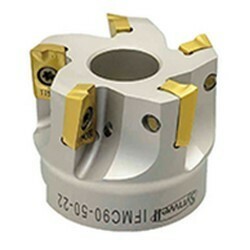 •The spindle chuck is designed to be #30 taper type, which can be used to match multiple and suitable adapters according to different processing requirements. 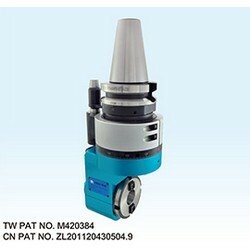 •Gear ratio 1:1, the spindle doesn’t need to turn counterclockwise. 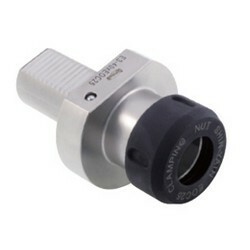 •The pre-balance can reach G6.3 5,000 rpm, without an inspection report. 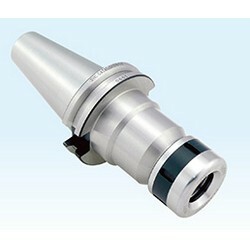 •The balancing grade and revolution can be done according to customer's request but the additional charge is needed. 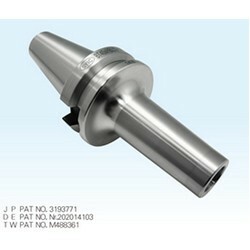 •The design is to take use of the difference of flutes and O-rings to achieve center coolant. 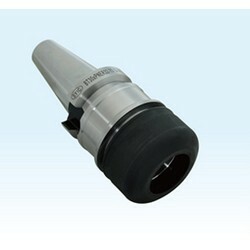 •Useful for coolant cutting tools. •Water pressure up to 21 kgf/cm2. 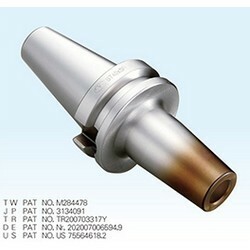 •The design of coolant groove is good for cooling and metal chips removal, extending tool life. 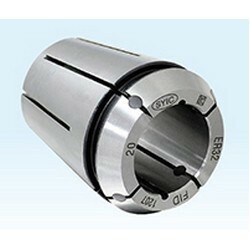 •Runout is within 5μ(4D length). 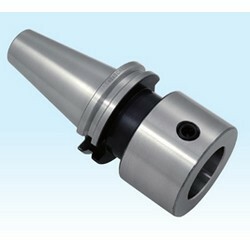 •SKS Collet taper: 4°, increasing holding power, concentricity and rigidity. 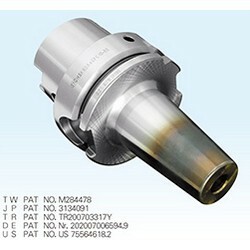 •Every tool holder reaches revolution of G2.5 25,000 rpm, with an inspection report. 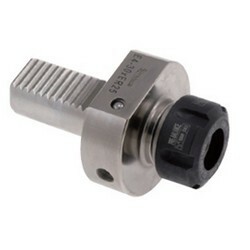 •The pre-balance can reach G6.3 10,000 rpm, without an inspection report. 2. T.I.R. : within 5 μ. 5. 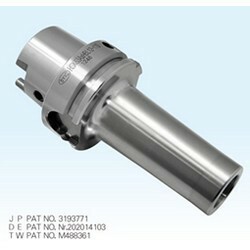 Every tool holder reaches the standard of G2.5 25,000 rpm, with an inspection report. 1. 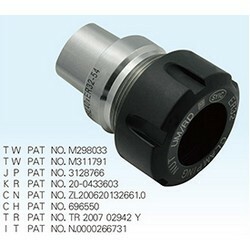 Please inform if the collet chuck measurements are in inch or metric system and 7 pcs/set or 15 pcs/set. 2. Please inform the draw bar's size when making an order. 3. 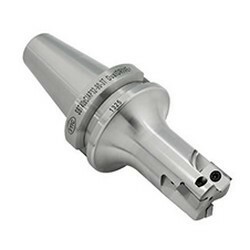 Concetric end mill extending 25mm with concentricity at 0.01mm. 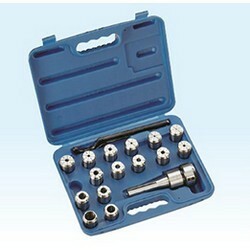 * Complete sets use SYOZ collet. 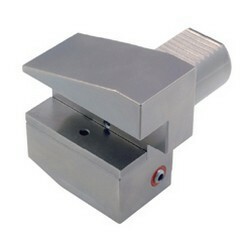 * Packed with plastic box, Wooden box package is different price. 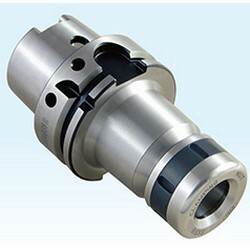 * Please indicate the collet chuck measurements in inch or metric system and 7pcs/set or 15pcs/set. 1. 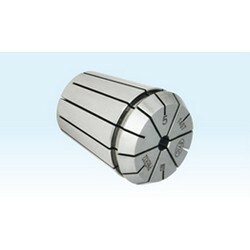 The material of SQP is superior Alloy Tool Steel, which improves rigidity and anti-vibration ability. 2. 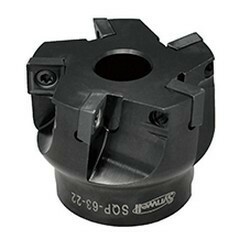 The material is treated with fine processing after hardening, which improves cutter’s stability during the cutting process. 1. 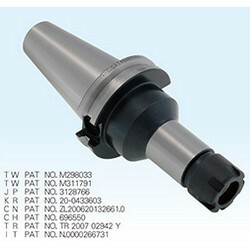 Every tool holder reaches the revolution of G2.5 25,000 rpm, with an inspection report. 2. The balancing grade and revolution can be done according to customer request but the additional charge is needed. 1. 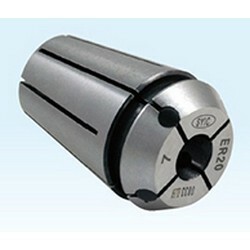 It can match with ER Collets (DIN-15488 standard) and can clamp all kinds of straight shank tools. 2. 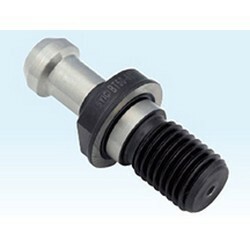 Rigidity can be raised by using ER Power Good Clamping Nut. 1. 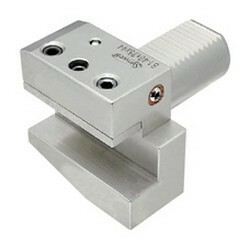 Runout is within 5μ (4D length). 2. 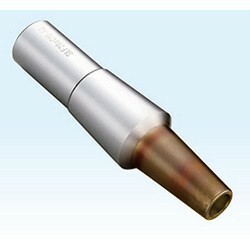 SKS Collet taper: 4° , increasing holding power, concentricity and rigidity. 3. 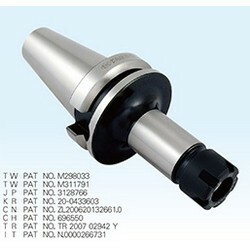 Every tool holder reaches revolution of G2.5 25,000 rpm, with an inspection report. 1. 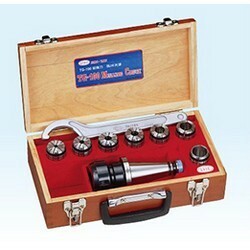 The pre-balance can reach G6.3 10,000 rpm, without an inspection report. 2. 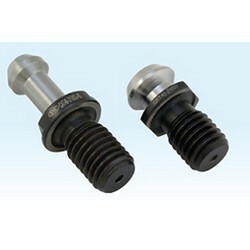 The balancing grade and revolution can be done according to customer's request but the additional charge is needed.